WALTHAM, MA—Sixteen people South Asian-origin have made to the Forbes 30 Under 30 list of 600 change-makers in various areas, including business, finance, society, art, science and technology, among others. Of all the South Asians, 87.5 percent are of Indian origin, according to Forbes magazine. The list of South Asian and their bios is provided below courtesy of Forbes. This year’s list of 600 is packed with boldfaced names, such as actress Margot Robbie, five time Pro Bowler Von Miller, singer Gallant, Pulitzer Prize-winning journalist Wesley Lowery, vegan chef and “Cupcake Wars” winner Chloe Coscarelli, and social media personalities Kylie Jenner and Tyler Oakley, according to Forbes. There are 20 categories with 30 honorees. The categories are Art & Style, Consumer Tech, Education, Energy, Enterprise Tech, Finance, Food & Drink, Games, Healthcare, Hollywood & Entertainment, Law & Policy, Manufacturing & Industry, Marketing & Advertising, Media, Music, Retail & E-commerce, Science, Social Entrepreneurs, Sports and Venture Capital. Forbes received 15,000+ nominations for just 600 spots. Nearly half (48%) describe success as achieving your potential, or liking yourself and what you do (also 48%). 35% believe Grit is the most important trait for entrepreneurs; followed by Passion (21%). Set to manage his own portfolio focusing on emerging markets as part of a global strategy emphasizing currencies, fixed income and equities at $8 billion hedge fund. Has been supporting Joshua Berkowitz in managing a $1.5 billion cross-asset portfolio at Caxton Associates. At over $8 billion hedge fund Abrams Capital, Bobbili works with four other investment staff to manage one of Wall Street’s most concentrated and successful portfolios. His specialty is in financials, communications and retail. Flow Labs has devised a small wireless-enabled sensor that attaches to water pipes and measures the amount of water flowing through them — ideal for homes and businesses looking for ways to save water and save money. Garg is cofounder and CEO of Dattus, an industrial Internet of things company that transforms old manufacturing facilities into smarter factories.The company has raised $1.7 million in seed funding. The youngest vice president in Starwood’s history when he was promoted at age 26, Goyal focuses on hotel acquisitions and has helped drive over $7 billion in deals. Recently helped sell a portfolio of 240 U.S. hotels to China Life for $2 billion. Gupta helped launch The Honest Company and played a role in the sale of Beats by Dre to Apple. Now she manages manufacturing and supply chain for DAQRI, which makes augmented reality headsets to improve safety and efficiency for industrial workers. Islam started his investing career in 2012 at In-Q-Tel, the venture arm of the CIA. He joined DFJ in 2014 and has worked with 10 portfolio companies at the firm. Islam previously gained his technical chops as an engineer at Lockheed Martin. A self-described “tech junkie,” Jayakumar heads Y&R’s global innovation initiatives across more than 190 offices, including creating Spark Plug, a global innovation incubator program and including projects with Samsung and Dell. Khanna has led the acquisition and merger of two eSports teams for the Sixers, manages the team’s entrepreneur innovation lab, developed a StubHub-partnered ticketing platform for Sixers games, and negotiated an estimated $25 million jersey sponsorship deal with StubHub. Worldwide, jaundice is responsible for 50% of hospital readmissions for newborns and 10 infant deaths per hour. The treatment: exposure to light from a special flourescent bulb. But that usually happens in the hospital. NeoLight has developed a phototherapy device that is portable for use at home. The company is also working on a second tool to treat infant hypothermia. The opportunity for sports to be shown in virtual reality is massive and LiveLike VR wants to make fans sitting at home on the couch feel like they are at the big game. The company has raised $5 million from CAA Ventures, former NBA commissioner David Stern and the NFL. Part of new macro multi strategy team at billionaire Steve Cohen’s quantitative trading arm, cubist systematic strategies. Former vice president at Goldman Sachs Asset Management, where he was part of a $9 billion quantitative trading group. Nuti studies variations in the quality of health care in the United States, and effort that has resulted in multiple publications in the Journal of the American Medical Association. One recent finding: despite the controversy over the quality of care provided by the U.S.Department of Veterans Affairs, there was no measurable difference in quality between the VA and other hospitals. President of Moat, a profitable SaaS analytics and intelligence company focused on digital advertising founded in 2010 with close to 225 employees. Rahman was previously CEO of Instinctiv, later sold to SoundCloud. He is also a partner at Vast Ventures, and the funds collectively have more than 75 investments around the world, including Hyperloop One, Diamond Foundry, Sweetgreen, Juicero, ZocDoc and Gingko Bioworks. Sharma worked as an investigator for a grant funded by the Center for the Advancement of Science in Space. This year, the research project, “Effects of Microgravity on Stem Cell-Derived Heart Cells from Diverse Patient Populations” was shot up into space aboard the SpaceX Dragon and received by the International Space Station. Now with Harvard, Sharma uses induced pluripotent stem cells to study cardiovascular biology. 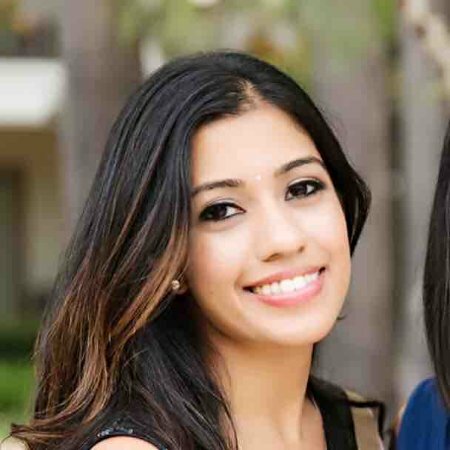 Vardhana joined Maveron in November 2015 after spending a year at Rothenberg Ventures, where she launched a VR accelerator and sourced and made seed investments in a dozen startups in the VR/AR space. She began her career in 2010 at Google, working on AdWords Express internationalization and localization. Looking for a new roommate? Yadav’s startup Roomi is an app that lets users find the right roommate to live with, chat with each other, search for listings, apply for an apartment and pay rent. New York-based Roomi has raised $7 million to date.